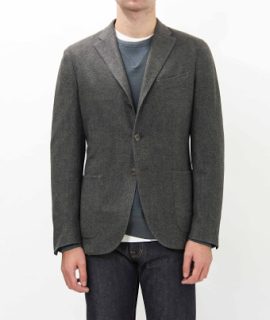 The Boglioli and Caruso jackets at Trunk are my favourite range of casual alternatives to tailoring in London. 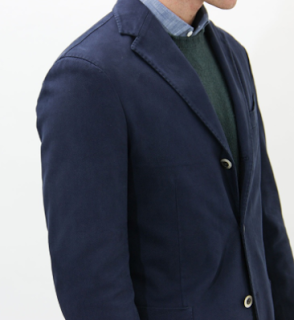 There are several reasons why you might want a casual RTW jacket, including styling, cost and finishing. For me the biggest one is the whole-garment washes that cannot be replicated with bespoke, and which are the most attractive feature of a casual cotton jacket. Even within Trunk’s small range, however, it’s not obvious what the different models are and what they mean in terms of style and price. Plus I always find it’s nice to know that kind of information before going into a store. So here’s my guide. Style: The best-selling of the three, it is usually in wools and cottons. The Boglioli suits are modelled off the Dover, just with matching trousers. 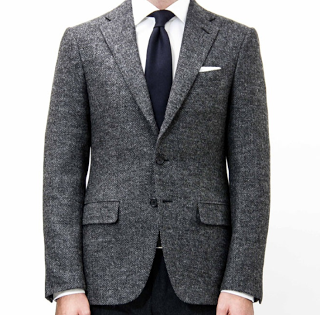 There is also a new line called Eton that tries to be a little more English, using chalk-stripe flannel for instance. It still has no padding in the shoulder, a shirt sleeve and no lining, however. 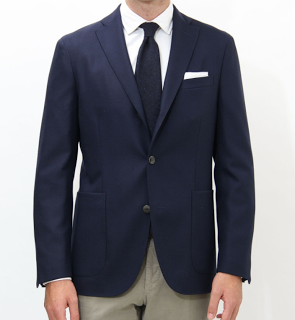 Style: Differentiated from normal Caruso by its roped shoulder, half lining and flapped rather than patch pockets. 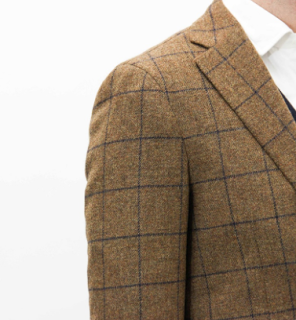 All more English touches, which is reflected in the materials: all relatively heavy Fox Flannel and Breanish Tweed. These jackets are the direction Trunk wants to take its branded tailoring in the future, hopefully creating a line in great materials with a mix of the English and Italian styling. Trunk is also offering Permanent Style readers free shipping this week. Enjoy free worldwide shipping on all orders over £50 at Trunk Clothiers until Sunday November 17th. Add items to the shopping bag, click ‘View full bag’ and enter the code PERMANENTSTYLE before checking out. You can follow the discussion on Boglioli and Caruso jackets at Trunk – a guide by entering your email address in the box below. You will then receive an email every time a new comment is added. These will also contain a link to a page where you can stop the alerts, and remove all of your related data from the site. Totally agree with you, Simon. They are some of the most awful things I have ever seen. I do hope this was an attempt at advertising. A more misguided one I don’t think I have ever seen. Everything about that website is the antithesis of Simon and his excellent blog. I cant think of a pocket square I dislike enough to have it butchered by the handkerchief ‘surgeons’ on that site. Actually, an attempt at humour. Clearly equally misguided. Given that the jackets are unstructured with no canvas construction, chest or shoulder pad, what is it that warrants the ‘premium price’? Is it the cut ? The cloth? Or, the branding ? Cut, cloth and construction. Just because there’s no structure doesn’t mean the making doesn’t need very close attention and skill to make. I find the question of branding a strange one, yet everyone asks it. Boglioli isn’t spending money on advertising in every fashion magazine, on catwalks or on a big marketing department. Margins really don’t vary that much between companies; but their costs do. Really usefull article for those who buy online, thank you Simon. I like the idea of casual unstructured jackets, but upon trying all of the above mentioned brands found them too tight and even more problematically too short. this fashion of making a jacket which is the length of a blouson just doesn’t look right to my eye, it is of course very much the current zeitgeist which means you cant avoid it easily at all. therefore im stuck buying bespoke jackets for £2.5k a pop. ouch. Which one do you think is better construction wise boglioli or Caruso (full canvas) if money is not a concern? I want to pair it with jeans for casual look. Hi Simon. Is it still possible to have alterations done on something like the Boglioli without it visible? Or are they meant to be just ‘ready to wear’?